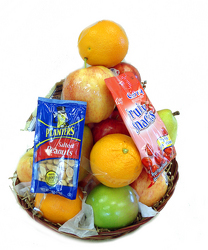 Check out our popular fruit and snack baskets! 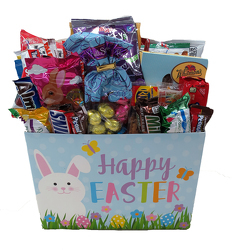 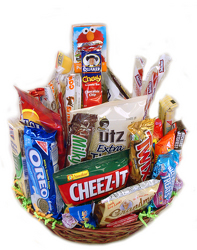 Dundalk Florist has a wide assortment of baskets and treats to suit any taste! 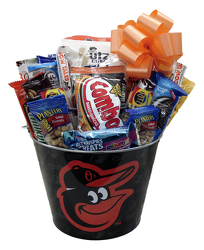 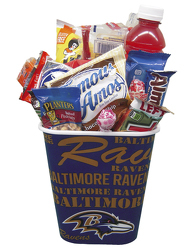 We can deliver any basket you select to Dundalk, MD or nationwide. 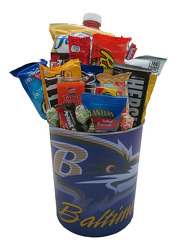 DFJ863 Raven's Tin filled with Snack Foods.